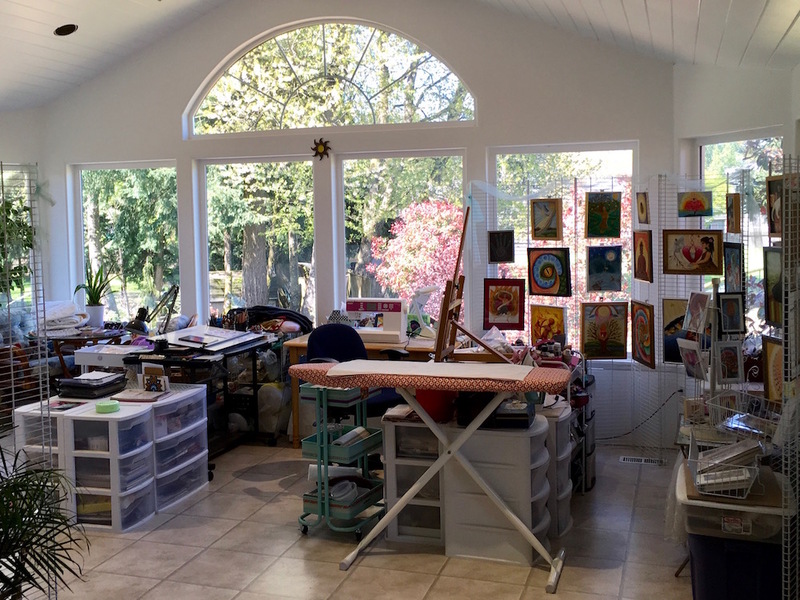 This weekend Saturday, August 4th, I am hosting a summer open studio! From 11am – 5pm, come tour my studio, gardens and browse a wide variety of affordable art for sale. Enjoy a glass of wine and be the first to view my latest series of work. Meet my animal friends and learn more about my vision to celebrate love and beauty on Earth through art. If you’re in the Portland, OR area and would like to attend, email me for information. Facebook friends/followers see the event page for full details/directions. Online friends, you can join in the fun too!! Save 30% on art and prints in the RPS shop all day next Saturday, August 4 using coupon code OPENSTUDIO2018.